I live in the middle part of Norway, on a place called Meldal. When I look at my lawn, there is still more then one meter of snow – good news for those who fish for salmon in my homeriver Orkla in 2011. 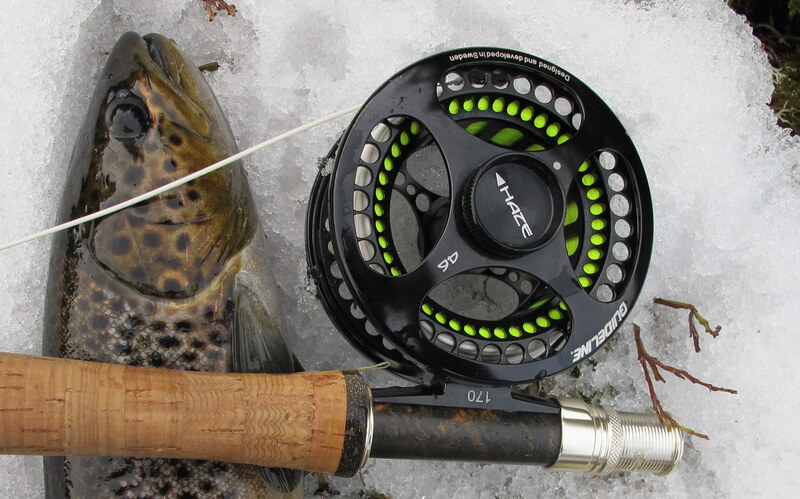 There will be lots of cold water and good fishing far beyond the summer. For a trout fisherman like me on the other hand, this amount of snow could give you a heart attack. Nevertheless, there are flashes of hope in this part of the country also. Right outside the coast, we have three large islands a few hours drive away. One of the islands is Smøla. This island is located in the middle of hot Gulf Stream water, and normally has very early spring. This spring in 2011 is relatively late also at Smøla. Already I have managed a wasted journey to the island. 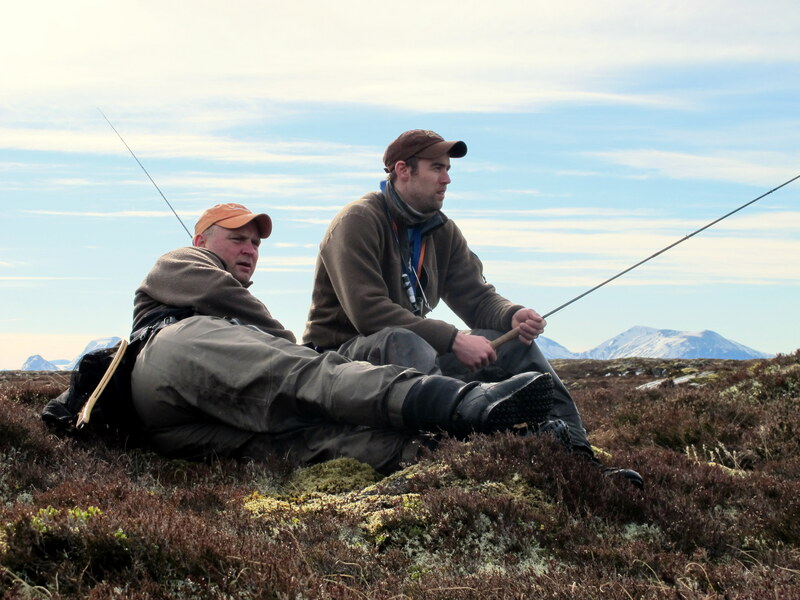 However, on the third of April, my fishing buddy Bjorn Tore Hoel and I debuted fishing on freshwater out there. Research on the phone about the ice conditions and positive forecasts in terms of the wind, sent us on a day trip. It was completely free of snow, the lakes were free of ice and the sun was shining when we arrived the island early in the morning. Rumors said that it was fantastic fishing for sea trout in salt water. But we were looking to fish only in fresh water this time. It was still too cold in the water to get the midge larvae moving upward in the water layers – although we saw some adult midges and a few rise during the day. We had to seek out the fish further down in the water layers. The lakes at Smøla have very shallow water, so the floating line is perfect regardless of whether the fish is feeding the bottom. After some trial and error we eventually managed to fool the trout. We took no large fish that day – but many. It was fantastic to feel resistance in my class five Fario rod again. Conversation went easily between two happy fly fishers when the car flew home that evening. 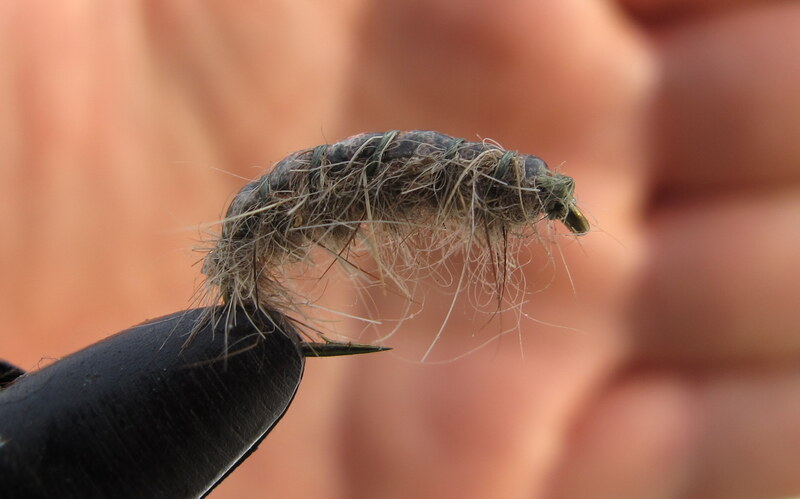 Today’s fly was a leaded Gammarus imitation. An insect that is very important in this part of Norway. It is almost Easter holiday now. Traditionally, we go skiing and fishing on the ice in Norway. Still, I recommend as many people as possible to take an alternative holiday to Smøla. I assume that the trout at that time is feeding on midges off the surface if the wind conditions are good. Previous Biggest ever Arapaima caught on fly by a female angler!